This article is about Sir Herbert Edward Read, English poet and critic. For other uses, see Herbert Read (disambiguation). Sir Herbert Edward Read, DSO, MC (/riːd/; 4 December 1893 – 12 June 1968) was an English art historian, poet, literary critic and philosopher, best known for numerous books on art, which included influential volumes on the role of art in education. Read was co-founder of the Institute of Contemporary Arts. He was one of the earliest English writers to take notice of existentialism. The son of a farmer, Read was born at Muscoates near Nunnington, about four miles south of Kirkbymoorside in the North Riding of Yorkshire. His studies at the University of Leeds were interrupted by the outbreak of the First World War, during which he served with the Green Howards in France. He received the Military Cross and the Distinguished Service Order, and reached the rank of captain. During the war, Read founded the journal Arts and Letters with Frank Rutter, one of the first literary periodicals to publish work by T. S. Eliot. Read's first volume of poetry was Songs of Chaos, self-published in 1915. His second collection, published in 1919, was called Naked Warriors, and drew on his experiences fighting in the trenches of the First World War. His work, which shows the influence of Imagism and of the Metaphysical poets, was mainly in free verse. His Collected Poems appeared in 1946. As a critic of literature, Read mainly concerned himself with the English Romantic poets (for example, The True Voice of Feeling: Studies in English Romantic Poetry, 1953) but was also a close observer of imagism. He published a novel, The Green Child. He contributed to the Criterion (1922–39) and he was for many years a regular art critic for The Listener. While W. B. Yeats chose many poets of the Great War generation for The Oxford Book of Modern Verse (1936), Read arguably stood out among his peers by virtue of the 17-page excerpt (nearly half of the entire work) of his The End of a War (Faber & Faber, 1933). Read was also interested in the art of writing. He cared deeply about style and structure and summarized his views in English Prose Style (1928), a primer on, and a philosophy of, good writing. The book is considered one of the best on the foundations of the English language, and how those foundations can be and have been used to write English with elegance and distinction. Read was (and remains) better known as an art critic. He was a champion of modern British artists such as Paul Nash, Ben Nicholson, Henry Moore and Barbara Hepworth. He became associated with Nash's contemporary arts group Unit One. Read was professor of fine arts at the University of Edinburgh (1931–33) and editor of the trend-setting The Burlington Magazine (1933–38). He was one of the organisers of the London International Surrealist Exhibition in 1936 and editor of the book Surrealism, published in 1936, which included contributions from André Breton, Hugh Sykes Davies, Paul Éluard, and Georges Hugnet. He also served as a trustee of the Tate Gallery and as a curator at the Victoria & Albert Museum (1922–39), as well as co-founding the Institute of Contemporary Arts with Roland Penrose in 1947. He was one of the earliest English writers to take notice of existentialism, and was strongly influenced by proto-existentialist thinker Max Stirner. From 1953 to 1954 Read served as the Norton Professor at Harvard University. For the academic year 1964–65 and again in 1965, he was a Fellow on the faculty at the Center for Advanced Studies of Wesleyan University. Read's conception of poetry was influenced by his mentors T. E. Hulme, F. S. Flint, Marianne Moore, W. C. Williams, believing 'true poetry was never speech but always a song', quoted with the rest of his definition 'What is a Poem ' in his 1926 essay of that name (in his Endword to his Collected Poems of 1966). Read's 'Phases of English Poetry ' was an evolutionary study seeking to answer metaphysical rather than pragmatic questions. Read's definitive guide to poetry however, was his ' Form in Modern Poetry' which he published in 1932. In 1951 A. S. Collins the literary critic said of Read: "In his poetry he burnt the white ecstasy of intellect, terse poetry of austere beauty retaining much of his earliest Imagist style." A style much evident in Read's earliest collection Eclogues 1914-18. Politically, Read considered himself an anarchist, albeit in the English quietist tradition of Edward Carpenter and William Morris. Nevertheless, in 1953 he accepted a knighthood for "services to literature"; this caused Read to be ostracized by most of the anarchist movement. Read was actively opposed to the Franco regime in Spain, and often campaigned on behalf of political prisoners in Spain. Dividing Read's writings on politics from those on art and culture is difficult, because he saw art, culture and politics as a single congruent expression on human consciousness. His total work amounts to over 1,000 published titles. Read's book To Hell With Culture deals specifically with his disdain for the term culture and expands on his anarchist view of the artist as artisan, as well as presenting a major analysis of the work of Eric Gill. It was republished by Routledge in 2002. In his philosophical outlook, Read was close to the European idealist traditions represented by Friedrich Schelling, Johann Gottlieb Fichte, and Samuel Taylor Coleridge, believing that reality as it is experienced by the human mind was as much a product of the human mind as any external or objective actuality. In other words, the mind is not a camera recording the reality it perceives through the eyes; it is also a projector throwing out its own reality. This meant that art was not, as many Marxists believed, simply a product of a bourgeois society, but a psychological process that had evolved simultaneously to the evolution of consciousness. Art was, therefore, a biological phenomenon, a view that frequently pitted Read against Marxist critics such as Anthony Blunt in the 1930s. Read, in this respect, was influenced by developments in German art psychology. His Idealist background also led Read towards an interest in psychoanalysis. Read became a pioneer in the English-speaking world in the use of psychoanalysis as a tool for art and literary criticism. Originally a Freudian, Read came to transfer his allegiance to the analytical psychology of Carl Jung, eventually becoming both publisher and editor-in-chief of Jung's collected works in English. As early as 1949, Read took an interest in the writings of the French Existentialists, particularly those of Jean-Paul Sartre. Although Read never described himself as an existentialist, he did acknowledge that his theories often found support among those who did. Read perhaps was the closest England came to an existentialist theorist of the European tradition. Herbert Read developed a strong interest in the subject of education and particularly in art education. Read's anarchism was influenced by William Godwin, Peter Kropotkin and Max Stirner. Read "became deeply interested in children’s drawings and paintings after having been invited to collect works for an exhibition of British art that would tour allied and neutral countries during the Second World War. As it was considered too risky to transport across the Atlantic works of established importance to the national heritage, it was proposed that children’s drawings and paintings should be sent instead. Read, in making his collection, was unexpectedly moved by the expressive power and emotional content of some of the younger artist’s works. The experience prompted his special attention to their cultural value, and his engagement of the theory of children’s creativity with seriousness matching his devotion to the avant-garde. This work both changed fundamentally his own life’s work throughout his remaining 25 years and provided art education with a rationale of unprecedented lucidity and persuasiveness. Key books and pamphlets resulted: Education through Art (Read, 1943); The Education of Free Men (Read, 1944); Culture and Education in a World Order (Read, 1948); The Grass Read, (1955); and Redemption of the Robot (1966)". Read "elaborated a socio-cultural dimension of creative education, offering the notion of greater international understanding and cohesiveness rooted in principles of developing the fully balanced personality through art education. Read argued in Education through Art that "every child, is said to be a potential neurotic capable of being saved from this prospect, if early, largely inborn, creative abilities were not repressed by conventional Education. Everyone is an artist of some kind whose special abilities, even if almost insignificant, must be encouraged as contributing to an infinite richness of collective life. Read’s newly expressed view of an essential "continuity" of child and adult creativity in everyone represented a synthesis’ the two opposed models of twentieth-century art education that had predominated until this point...Read did not offer a curriculum but a theoretical defence of the genuine and true. His claims for genuineness and truth were based on the overwhelming evidence of characteristics revealed in his study of child art....From 1946 until his death in 1968 he was president of the Society for Education in Art (SEA), the renamed ATG, in which capacity he had a platform for addressing UNESCO....On the basis of such representation Read, with others, succeeded in establishing the International Society for Education through Art (INSEA) as an executive arm of UNESCO in 1954." Following his death in 1968, Read was arguably neglected due to the increasing predominance in academia of theories of art, including Marxism, which discounted his ideas. Yet his work continued to have influence. It was through Read's writings on anarchism that Murray Bookchin was inspired in the mid-1960s to explore the connections between anarchism and ecology. In 1971, a collection of his writings on anarchism and politics was republished, Anarchy and Order, with an introduction by Howard Zinn. In the 1990s there was a revival of interest in him following a major exhibition in 1993 at Leeds City Art Gallery and the publication of a collection of his anarchist writings, A One-Man Manifesto and other writings for Freedom Press, edited by David Goodway. 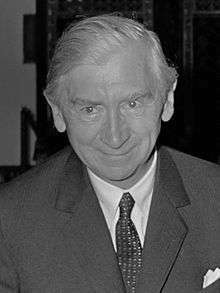 Since then more of his work has been republished and there was a Herbert Read Conference, at Tate Britain in June 2004. The library at the Cyprus College of Art is named after him, as is the art gallery at the University for the Creative Arts at Canterbury. Until the 1990s the Institute of Contemporary Arts in London staged an annual Herbert Read Lecture, which included well-known speakers such as Salman Rushdie. On 11 November 1985, Read was among 16 Great War poets commemorated on a slate stone unveiled in Westminster Abbey's Poet's Corner. The inscription on the stone was written by a fellow Great War poet, Wilfred Owen. It reads: "My subject is War, and the pity of War. The Poetry is in the pity." A 1937 reading by Read lasting seven minutes and titled The Surrealist Object can be heard on the audiobook CD Surrealism Reviewed, published in 2002. He was the father of the well-known writer Piers Paul Read, the BBC documentary maker John Read, and the art historian Ben Read. ↑ James King, Herbert Read – The Last Modern (London: Weidenfeld and Nicholson, 1990. ↑ "- 'Metafiddlesticks! ': Eliot's Donne and the Possibilities of the Neo-Metaphysical Speaker, 1917-1935". tumblr.com. Retrieved 17 January 2015. 1 2 Read, Herbert, Collected Poems, London: Faber & Faber, 1966. ↑ Read, Herbert, English Prose Style, London: G. Bell & Son London; New York: Holt, 1928. ↑ Special Collections and Archives, Wesleyan University. ↑ Baro, Geno Review, Actual and Historical, 'Poetry' Vol 77 no 6 (1951). ↑ Collins, A. S., English Literature of the Twentieth Century, London: University Tutorial Press, 1951. ↑ Allott, Kenneth, Contemporary Verse Penguin Poets, Harmondsworth, 1950. ↑ David Goodway, "Introduction" in A one-man manifesto and other writings for Freedom Press by Herbert Read, London, Freedom Press, 1994, ISBN 0-900384-72-7 (pp. 1-26). ↑ Herbert Read, "We Protest Against this Spanish Tyranny..." (1952 Speech), reprinted in A one-man manifesto and other writings for Freedom Press (pp. 199-200). ↑ Goodway, "Introduction" in A One-Man Manifesto and other writings for Freedom Press by Herbert Read (1994), p. 19. ↑ See Michael Paraskos, The Elephant and the Beetles: the Aesthetic Theories of Herbert Read, PhD, University of Nottingham, 2005. 1 2 Thistlewood, David (1994). "HERBERT READ (1893–1968)" (PDF). PROSPECTS: The quarterly review of comparative education. Paris: UNESCO: International Bureau of Education. pp. 375–90. ↑ Bookchin, Murray. Dana Ward, ed. "Ecology and Revolutionary Thought". Anarchy Archives. Retrieved 26 April 2011. ↑ Boston: Beacon Press, 1971; originally published by Faber and Faber in 1954. ↑ Read, Herbert (1994). Goodway, David, ed. A one man manifesto : and other writings for Freedom Press. London: Freedom Press. ISBN 0-900384-72-7. OCLC 30919061. ↑ "Poets". byu.edu. Retrieved 17 January 2015. ↑ "Preface". byu.edu. Retrieved 17 January 2015. ↑ "Automatic Redirect". ltmrecordings.com. Retrieved 17 January 2015. Wikimedia Commons has media related to Herbert Read.